The Lottery Office is owned and operated by the Global Players Network Pty Ltd. The company has been running lotteries by mail order since 2004. In 2014 they were granted an online gaming licence by the Northern Territory Government of Australia and The Lottery Office website was launched. Now anyone from countries around the world can purchase lottery tickets or syndicated entries into the biggest Australian and other worldwide lotteries that you wouldn’t normally have access too from their website. You can do this in complete confidence with the knowledge that if you win you will get 100% of your winnings as they are Government licensed. The various draws that you can buy tickets for at Lotteryoffice.com include the main Australian lotteries that other lotto websites cannot give you access too. These Australian lotteries include the 6/45, Powerball, Super 7 and Monday / Wednesday draws. You can also play the Irish Lotto, the UK National lottery and the EuroMillions here. Opening / Special Offer: By opening an account today at The Lottery Office you will get 1 free ticket into the next Australian Super 7 draw which has a jackpot of 5 million Australian dollars. There is no purchase required for the free ticket. On top of the free ticket you will also get 100% of your first purchase refunded as bonus money to your account. This bonus money can be used to buy any single entry or syndicate tickets. Meaning that you are doubling your chances of winning a cash prize. Playing at The Lottery Office: To play select the lotto draw you want to play on and your numbers. You can choose to buy single entry tickets into just 1 draw or you can subscribe into multiple draws with the same numbers. You can choose 5, 10 or 15 draw subscriptions. When you choose the multi draw option you will receive a discount depending on how many draws you want to play on. 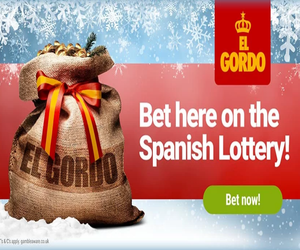 One of the nice options is that you can choose to deposit into your account and pre-pay for each draw or you can choose the pay as you go option and deposit the money for every 5 draws you wish to play on. Other lotto sites don’t offer this feature. Syndicated Entries: As well as playing single entry tickets you can also buy syndicated tickets into the 3 Australian Lotteries. At this time syndicated entries are available for $40 per share. You can choose to purchase between 1 and 5 shares per 3 draws. This price gives you entry into all 3 Aussie Lotteries, the 6/45, Super 7 and the Powerball, with a massive 300 chances to win. Each syndicate is made up of 20 members who purchase 100 tickets for these draws. If your syndicate wins a prize then you split the winnings equally. Deposit Information: They accept any major Visa or Mastercard Credit / Debit cards. You can also make a deposit using Neteller. Claiming Your Winnings: You can make a withdrawal to a Neteller account from a minimum of $1 up to a maximum of $5000. There are no fees and the withdrawal will reach you within 3 – 5 days. For larger amounts you can withdraw direct to your bank account. For withdrawals between $100 and $1200 there is a fee of $25. Bank withdrawals are free for amounts over $1200. The time it takes to reach your account is between 7 to 10 working days. Copyright © 2017 FreeLotteryuk.co.uk All rights reserved.